In 1922, with the partition of Ireland, the RIC is disbanded and replaced by separate forces in north and south. This disbandment is not opposed by the force, many of the officers having already called for it. 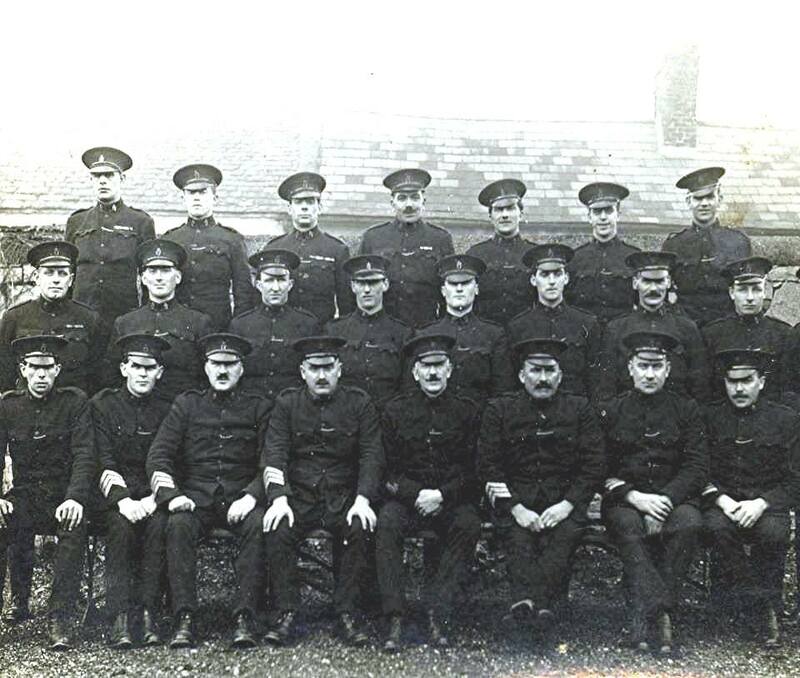 By the beginning of February 1922, the disbandment has begun and by the end of March the RIC are still present in only six counties of the Irish Free State, gathering in disbandment centres ready to hand over their arms, vehicles and equipment to the new government. They are then escorted in groups to railway stations and ferry ports by IRA men, who are usually hostile and sometimes even abduct and murder former policemen on their blacklists. Some are forcibly deported by the IRA and issued with ultimatums to leave their homes within 24 hours (as happens in Waterford). Many ex-RIC men flee to England to escape reprisals from the IRA, and by April sixty to seventy men a day are arriving at British ports. Many are re-housed by the government in the Chester area, but employment is difficult to find. On 4 April 1922, the Royal Irish Constabulary holds its final parade in Phoenix Park and on 30 August it is officially disbanded. 418 officers have lost their lives in the preceding four years, and one in twelve has been wounded.